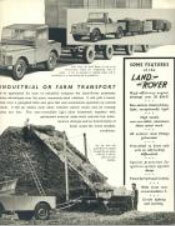 Welcome to the home of The Land Rover Series One Club supported by the Land Rover Register 1948-1953. 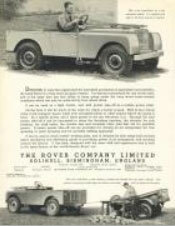 This site aims to be the web-site for all things to do with the original Land Rover, that is vehicles built between 1948 and 1958. Click on the buttons above to find out more about us or take a good look around our forum - we have over 10,000 registered users worldwide and they have probably covered every topic imaginable. Just click Register in the main menu if you'd like to join in the conversations (it's free to non-members) - otherwise you are more than welcome to browse a selection of topics, articles and gallery photos as our guest. 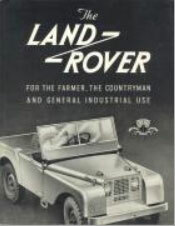 If you'd like to know more about the the original Land Rover, read this History of the Series One Land Rover. 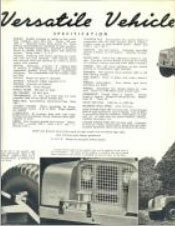 Or if you have a vehicle and are not sure exactly what it is, try our Chassis Number identification tool - it should at least tell you the year and model. 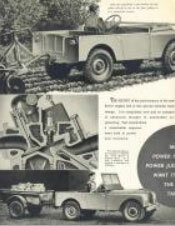 Regrettably, we have so many guests visiting, most of our extensive historical and technical archive is only available once you have registered, with yet more available still to paid-up club members. Why not join us? 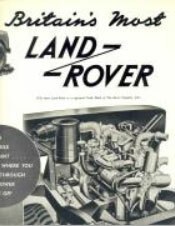 The Land Rover Series One Club gratefully acknowledges Land Rover Ltd for permission to reproduce material to which they hold the copyright.